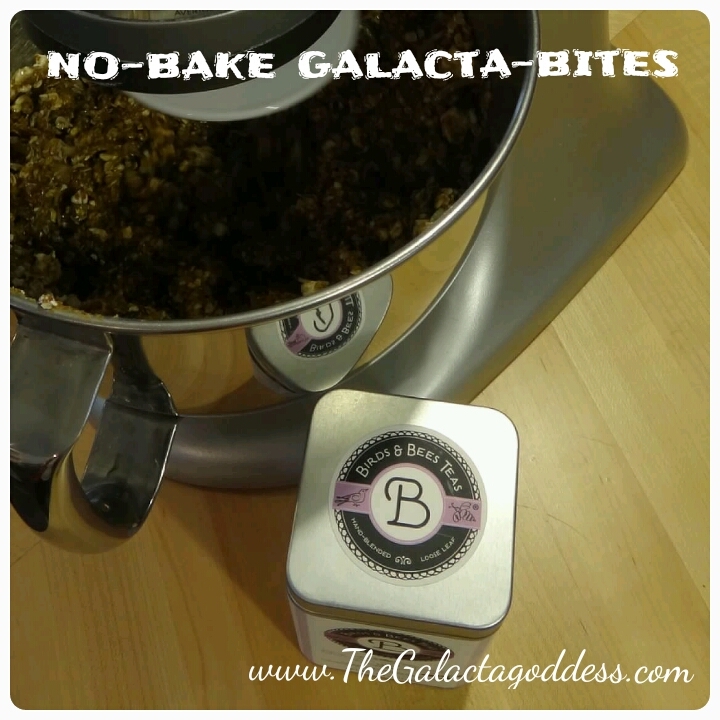 After receiving Lactation Cookies for my Birthday, I got to thinking…what other recipes could I come up with that were both yummy AND full of galactagogues?! I was first introduced to Birds & Bees Teas by Kelly at New Leaf Wellness. And after my second birth, she sent me a tin of their Our Lady of La Leche Tea, which became the inspiration for this recipe. I started with a simple no-bake energy bite, because let’s face it, what breastfeeding Mama couldn’t use a little more energy?! After the first attempt, I quickly realized that the ground tea had a very strong anise/licorice flavor from the fennel seeds and I would need to do some tweaking to blend the flavors. The almond butter & popcorn (my own personal galactagogue) mellowed out the flavors & added the perfect amount of crunch. Mix all ingredients using a dough hook on an electric mixer (a wooden spoon & some serious “elbow grease” could work too), form into bite-sized balls, refrigerate until you’re ready to eat, enjoy! Warning: You may need to hide these from your family…they’re THAT good!